Just a quick update about my dinner yesterday. The PB Birthday goods will be posted later, I'm just off to meet my friend to take pictures. 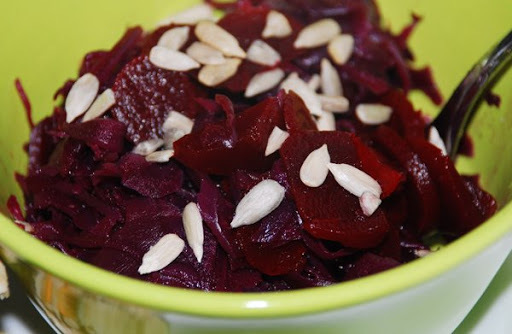 First, salad: red cabbage with red beet, a little balsamico bianco and sunflower seeds. 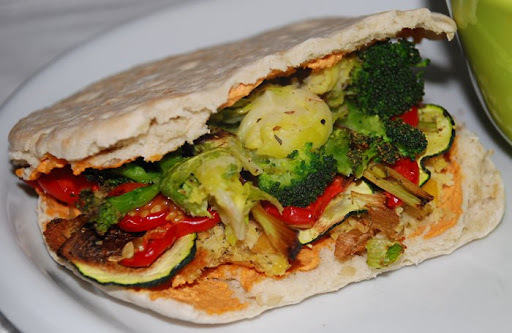 And my "main course": grilled red bell pepper, zucchini slices, broccoli, scallions, brussels sprouts and tomatoes on a mashed Falafel in a sunflower seed pita pocket with a layer of pepper-peperoni spread. 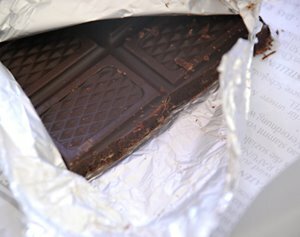 I'm proud (and totally surprised by myself to be honest) to announce that I managed to resist the temptation until Sunday and therefor highly enjoyed my espresso chocolate last night. Hope you had a good time with your friends and family aswell! That main course looks so good. I want some right now. Mmmmmmmm. Was the spread something you bought or made up yourself? 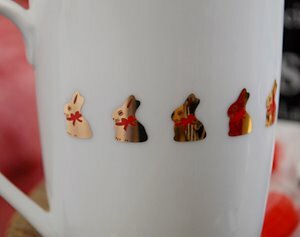 I enjoy my chocolate yesterday too! I couldn't believe I actually made it through without caving in. The veggie and falafel pita looks like it was sooo satisfying - you really packed that thing with veggies! Congrats on resisting temptation - I admire your restraint, because I wouldn't have been able to resist! Can't wait to see the pb birthday treats post! Thank you, I really did NOT think I'd make it, being the chocoholic that I am..
Veggie Girl - I think I'll have to warm up another Falafel, I'm starting to crave it again. Katie - Same to you dear and thank you! Ha ha, believe me I did not expect that I'd be able to resist that long.